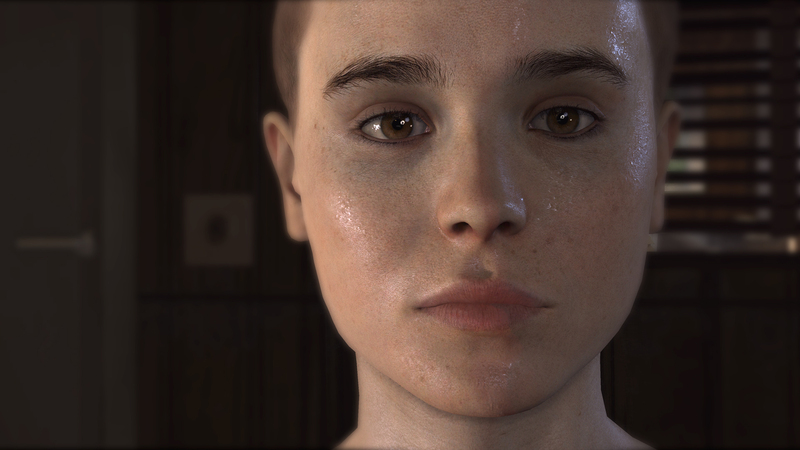 Beyond: Two Souls made quite a stir when it was announced at Sony's E3 press conference a few days ago. The next game from Heavy Rain developer Quantic Dream was introduced as a dark, intriguing game that took a closer look at what lies beyond life. For protagonist Jodie Holmes, that question has been on her mind for as long as she can remember. She's connected to an "invisible entity," a spirit she calls Aiden (though no one is quite sure how that's spelled), who follows her everywhere. She can't see it, but she can feel it, and Beyond is the story of how they live together. In the lengthy demo of Beyond I saw yesterday, I got a better idea of what Beyond's gameplay consists of, as well as a look at how Jodie and Aiden interact. Writer and director David Cage stated that the question on gamers' minds after the announcement was "How does it play?" Like Heavy Rain, Beyond doesn't fit into any existing genre. It's a personal story that changes with the player's actions. Players will take control of Jodie and Aiden throughout the course of the game, and the spirit has its own personality. It can be nice or aggressive, helpful or jealous. Jodie is stuck with Aiden, however, and in the fifteen years throughout which this game takes place, she has to confront what's on the other side. Before showing off the gameplay, Cage took a few minutes to talk about working with Ellen Page, who plays Jodie Holmes in the game. Cage said that he wanted someone who could be strong as well as fragile, and Page fit the role perfectly. It was a demanding role-a lot of physical work, as opposed to just voice acting-but Quantic Dream were extremely happy with the job she's done as Jodie. We were treated to a live demo of an action-driven scene, which began with Jodie asleep on a train. At the point, she was 23 years old and a fugitive, and the police were aware of her special abilities. Aiden, ever impatient, attempted to wake her up, but she shooed him away. Using a blast of sorts, Aiden playfully knocked coffee cups and magazines out of the hands of other passengers. Later, we saw the same blast used with much more deadly results. The player controls Aiden using the PlayStation 3's SixAxis motion controls, creating a sense of floating in the area surrounding Jodie. Aiden can go through walls and solid objects, but can't go too far from her, or the screen goes black and white. They're constantly linked, and can't be separated. We also saw Aiden's ability to make people cold as it passed through them. The train came to an unexpected stop, with police cars lined up outside, lights flashing. As Aiden, the player can listen to their conversation and discover the obvious: they're there for Jodie. The cops were surrounded by colorful outlines called "auras", which determine what kind of affect Aiden will have on them. After being growled at by a police dog, Aiden returned to Jodie and finally woke her up. The control switched over to Jodie as she tried to escape police and get off the train. What followed was an action sequence with situational button prompts just like the ones in Heavy Rain. After she ran down the train cars and locked herself in a bathroom, Aiden used the blast to open a door to the roof. The intensity escalated as Jodie made her way across the top of the moving train in the pouring rain, and the game looked wonderful. Quantic Dream's character animations have been hugely improved since Heavy Rain, and Jodie ran, slipped, and fought her way across the train, with her pursuers not letting up. Finally, after fending off three cops at once, she jumped from the train, with Aiden forming a shield to protect her as she hit the ground.